…otherwise known as high frequency words or star words. These are simply the most commonly occurring words in books. For fluent reading, these words need to be immediately recognisable to children; that is without being sounded out. Improvement in this area requires repetition; practicing of the same words again and again in different ways. 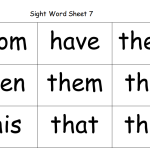 For sight word lists, click here. For more ideas on how to keep the practice fresh and interesting for your child, check out our huge list of sight word ideas and activities. First of all, let’s be clear and get this out of the way: teaching your child sight words doesn’t mean you are taking following the path of whole language over that of phonics. Some educators disagree, and see sight words as the playthings of whole language converts. “There are rules, teach them!”, “Teach letter patterns and the sounds…”, “Children can’t remember all words by ‘sight’!” Yes, yes and yes. But if you are ignoring sight words you are putting your child at a significant disadvantage; particularly early on. Sight words are very important for early reading. They give children confidence in reading. A strong sight words ‘bank’ allows children to focus on using their decoding strategies (that require both phonetic and whole language knowledge). In the early years, your child will be working on them at school, but is this enough? For some children it is; for most, it’s not. To begin, I would suggest finding out what list your child is up to. 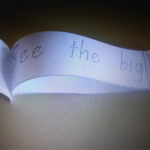 Find sight words lists here. Make a ‘working list’ that is comprised of about 10 known sight words and 3-4 unknown sight words (the words which your child is attempting to learn). 2) to consolidate past words. In saying that, some of the games (such as Snap) are best played with a large number of sight words. Most others, are best kept to words from the ‘working list’. Sight words are best learnt in short bursts. Try 3x 5-10 min session each day. There are so many different games and activities you can play based around sight word practice. You will be the best judge as to what works for your child. Check out our list of sight activities and ideas. Many of the activities use flash cards or similar. 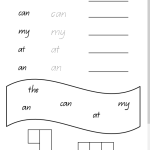 Download, print and and laminate all the sight words that you can/need. That means you’ll have new ones on hand as your child needs them. As I mentioned above, sight words are really there for help learning to read. As your child becomes a confident reader, their focus needs to shift to comprehension and decoding strategies. Generally sight words can generally be done away with at around 7-8 years. Of course this will vary greatly depending on the child. Yours may need more exposure to sight words to build their confidence, or they may be done with them earlier.